Using a muzzleloader is not as complicated as some might think. If you’re interested in using a muzzleloader, Peters recommends finding a muzzleloading gun enthusiast to help you get started. “Invite them to a shooting range and ask them to walk you through the whole process of loading, shooting and clearing one,” Peters said. The beginning of muzzleloading gun season immediately follows the close of crossbow season in each zone annually. Season dates run Nov. 17-30 in Zone B, Oct. 20 – Nov. 2 in Zone C and Dec. 1-7 in Zone D.
During muzzleloader season, bows and crossbows also are legal methods of taking game on private lands. On WMAs though, only muzzleloaders may be used, and not every muzzleloader is legal to use during muzzleloading gun season. Only muzzleloaders fired by wheel lock, flintlock, percussion cap or centerfire primer (including 209 primers) are legal during muzzleloading gun season. Firearms that can be loaded from the breech are not legal during muzzleloading gun season. Deer and wild hogs are the most common species to take during muzzleloader season. For hunting deer, muzzleloaders firing single bullets must be at least .40-caliber. Guns firing two or more balls must be 20-gauge or larger. Only legal bucks, according to the deer management unit in which you’re hunting, may be taken, and the daily bag limit for deer is two. On private land with landowner permission, you may hunt wild hogs year-round with no bag or size limits. On WMAs, bag limits for hogs and deer and antler point regulations may differ, so check the area’s regulations brochure before you hunt there. In addition to big game, it’s also legal to shoot gobblers and bearded turkeys on private property and on a handful of WMAs during muzzleloading gun season. You may take up to two per day on private lands (one a day on WMAs), but there’s still the two-bird combined fall-season limit. You may not shoot turkeys while they’re on the roost, when you’re within 100 yards of a game-feeding station when feed is present, or with the aid of recorded electronic turkey calls. It’s also against the law to hunt turkeys in Holmes County during the fall. Small game hunting provides a great opportunity for seasoned hunters to recruit new conservationists by passing on our hunting tradition to youth or adults new to hunting. It also provides a window back into the outdoors for lapsed hunters with busy lifestyles. Small game hunting has broad appeal, usually requires little planning and allows hunters to take spur-of-the-moment hunting excursions. Squirrel hunting is a perfect example of this. Gray squirrel season runs statewide Oct. 13 – March 3. Squirrel hunting is truly a sport for all ages and steeped in tradition. Squirrel hunting at an early age often translates into a lifetime of appreciation for wildlife conservation, the outdoors and hunting. Good squirrel hunting areas can be found throughout most of Florida, and many are convenient to major urban areas. Squirrel hunters can find success on small tracts of private and public lands. To find a good spot, look for areas with a lot of oak trees that have good limb structure and can provide cavities for denning. For these reasons, squirrels are often found on tree lines, oak/hickory ridges and hardwood hammocks bordering creeks, rivers or lakes. A .22-caliber rifle is the choice for squirrel hunters who seek the challenge of marksmanship. Shotguns of any size also may be used and are effective at short ranges. Shot size is a matter of personal preference, but normally ranges from No. 6 to 7½. Of course, the use of dogs is allowed and small hunting dogs, such as Jack Russell and rat terriers, enjoy treeing and retrieving squirrels. The daily bag limit for gray squirrels is 12, but be mindful of proper species identification because shooting the larger fox squirrel is against the law. The first phase of the mourning and white-winged dove season started on Sept. 22 and runs through Oct. 14. New this year, shooting hours during this first phase on private lands only have been expanded to a half-hour before sunrise to sunset, and the daily bag limit is 15 birds. On most wildlife management areas, shooting hours during phase I remain from noon to sunset. Good dove hunting opportunities can be found near agricultural lands where birds feed on crops and seed. Doves concentrate on areas with bare ground where they can find an easy meal, primarily because they have weak feet and cannot scratch through heavy vegetation for seed. They also seek out sources of water and grit, and the most successful dove hunts often occur when large numbers of doves migrate into Florida with seasonal cold fronts. The only firearm with which you’re allowed to hunt doves is a shotgun, and it must be plugged to a three-shell capacity (magazine and chamber combined), but you may not use one larger than a 10-gauge. Most hunters prefer to use a 12-gauge, although some prefer a 20-gauge. Shot sizes normally range from 7½ to No. 9. Retrievers or bird dogs are allowed, and they can be an asset when trying to locate hard-to-find birds. If you happen to shoot any dove with a metal band around its leg, report it at ReportBand.gov. This band-recovery data is critical for good dove management and a better understanding of migration patterns. By reporting this information, you’ll be able to find out when and where your bird was banded. Whether you participate in one or more of these hunting opportunities, you’ll need a Florida hunting license. If you’re a resident, this will cost $17. Nonresidents have the choice of paying $46.50 for a 10-day license or $151.50 for an annual license. If you plan to hunt during muzzleloader season, you’ll need a $5 muzzleloading gun permit, even if you use a bow or crossbow on private lands. 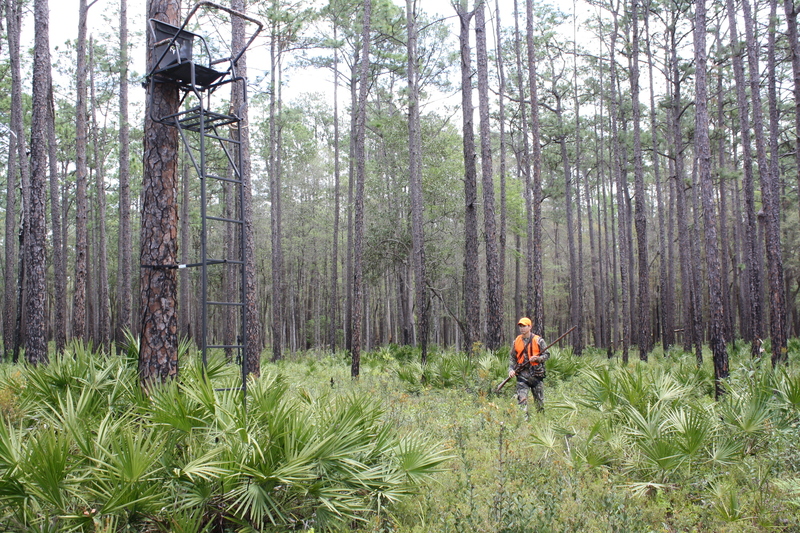 If you hunt on one of Florida’s many WMAs, you must purchase a management area permit for $26.50. To hunt deer, you need a $5 deer permit, and if you’d like to take a fall turkey, you’ll need a $10 ($125 for nonresidents) turkey permit. Also, a no-cost migratory bird permit is required if you plan on hunting doves or any other migratory game birds. Season dates, bag limits and restrictions differ greatly on each WMA, so before heading afield this season, I recommend you print the WMA regulations brochures and maps for the specific WMAs you plan to hunt. Or you can download them to a mobile device, so that they can be accessed without an internet connection. Beginning this year, WMA regulations brochures are available only at MyFWC.com/WMAbrochures and through the Fish|Hunt FL app. They are no longer being printed. All of the hunting licenses and permits you’ll need are available at your local county tax collector’s office, any retail outlets that sell hunting and fishing supplies, by calling 888-HUNT-FLORIDA or going to GoOutdoorsFlorida.com. So whether you’re going after that buck you’ve been hunting during the muzzleloading gun season or hunting small game with friends and family, here’s wishing you luck while enjoying Florida’s great outdoors. Remember to take a kid hunting or introduce someone new to our great hunting tradition when possible. 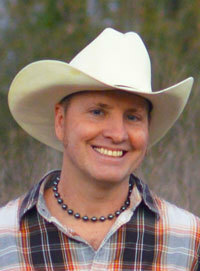 Like and subscribe to “HuntFlorida” at Facebook.com/HGM.FWC and YouTube.com/HuntFloridaTV, and sign up to receive the monthly Hunting Hot Sheet. As always, have fun, hunt safely and ethically, and we’ll see you in the woods!